My family and I just returned from a wonderful Walt Disney World vacation. As you probably know, Disney World is very expensive. Thankfully, military members have access to some excellent discounts that can help you cut your costs by more than half. I’ll walk you through the savings we got through the Disney World Military Park Hopper Discounts, and how we saved a ton of money by staying at the Shades of Green Resort on Walt Disney World. 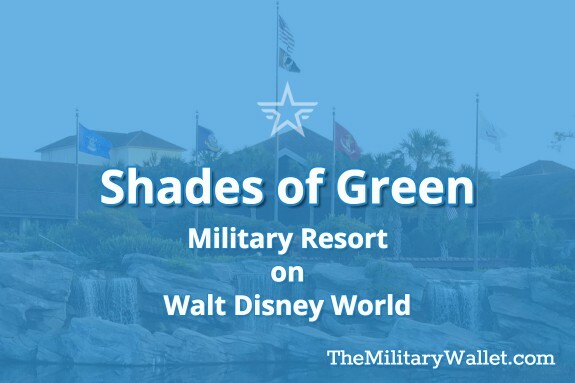 We have previously covered the Disney military discounts, so this article and podcast will focus on the Shades of Green Resort. Of course, we’ll also add some tips on visiting Disney World so you can maximize your savings and enjoyment. The Shades of Green resort, which is an Armed Forces Recreation Center resort located on the Walt Disney World grounds in Orlando, FL. While it’s not technically a Disney resort, it is located on Walt Disney World property and is conveniently located adjacent to the Polynesian Resort. The Polynesian is two Monorail stops from the Magic Kingdom. You can walk to the Polynesian within 10 minutes, or you can take one of the free Shades of Green Resort shuttle buses to the Disney World Ticket and Transportation Center, or to Disney Springs (formerly known as Downtown Disney). Shuttle buses are also available for a nominal fee for some of the other major Orlando area attractions, such as Universal Studios and Sea World. Shades of Green is one of four Armed Forces Recreation Centers around the world run by the Army. AFRCs are resorts that were built for the military and are exclusively for use by military members, retirees, DoD civilians, and other authorized guests. The Army Family and Morale, Welfare and Recreation (MWR) Programs operate these resorts. These resorts were built with MWR funds and now operate on a self-sustaining basis. Other AFRC resorts are Edelweiss Lodge & Resort in Garmisch, Germany, Dragon Hill Lodge in Seoul, Korea, and Hale Koa on Waikiki Beach in Honolulu, HI. The Navy runs The New Sanno Hotel in Tokyo, Japan, which is another premium military resort. The Armed Forces Recreation Centers offer a wide variety of amenities that vary by location. My family and I previously stayed at the Hale Koa, which was an amazing vacation. You can read our Hale Koa review and podcast here. Hopefully, I’ll have the opportunity to travel to the other locations in the future! This Shades of Green review will cover eligibility requirements and pricing, then I’ll talk about our experiences, what to do while you’re there, and some tips to help you maximize your Disney World vacation. Shades of Green is located on the Disney World Golf Course. Our hotel room was on the first floor and looked out on the golf course. Our back patio included a small table and two chairs, and there was an expansive lawn out back. My daughters loved waking up in the morning to see what surprises they might find. Each day there was a gecko perched on one of the chairs. One morning there was a peacock outside our door, and another morning brought a flock of wild turkeys. Shades of Green is a military resort. Thus, there are restrictions on who is eligible to book a room, and when. The good news, is visitors are able to sponsor non-military guests, and unlike many other military resorts, veterans who are not military retirees are eligible to stay at Shades of Green during January and September. The following groups of individuals are authorized to stay at Shades of Green. Armed Forces and their Families – Members on Active Duty, Reserve and National Guard, Army, Navy, Air Force, Coast Guard and Cadets of Armed Forces Academies. (Use appropriate Military ID Card). U.S. Department of Defense Civilians and Family Members – Current and retired (APF and NAF) Department of Defense (DoD) and Coast Guard (CG) civilian employees. DOD or CG ID card, Retired ID card, or current Leave and Earnings Statement with photo ID required for check-in. *Non-Retired Military Veterans with an Honorable Discharge – Eligible to stay during January and September (see Shades of Green website for more details). Non-retired veterans fall under Category #3 room rates. (Use DD Form 214 – more info on getting a replacement DD Form 214). *Non-retired military veterans: The Disney Armed Forces Salute discounts for the Disney tickets are only available to current military members and retirees, so you may not be eligible to buy the discounted military Park Hopper passes through this method. Shades of Green prices are very affordable for the Orlando area. They are even more affordable when you consider the quality of the resort and the location. Like most AFRC Resorts, the room prices are based on the location in the resort as well as your rank or status. Rooms that have a better view or that are closer to attractions such as a pool may cost more than a standard room. And of course, suites are even more expensive. This is also the case with the Hale Koa, which prices rooms based on the availability of an ocean view and other factors. Rooms are still very affordable, even with this variable pricing structure. Eligible members are given a pricing category based on their eligibility. This is usually the member’s rank or paygrade, but it could be another eligibility factor. I should note the pricing is based at your rank or grade at the time you check in, not when you make your reservations, which makes sense. We made our reservations before I attended AF Officer Training School, but we had to pay the Category 2 rate (I was prior enlisted and would have fallen under the Category 1 rate). No complaints from me, though. The rooms and amenities were great, even at the Category 2 rates. Category 2: E-7 through E-9, O-1 through O-3, WO-1 to CW-3, Widows, Medal of Honor Recipients, 100% Disabled Veterans, permanent and total, and Category 1 sponsored rooms; Non-retired veterans. I was impressed with the quality of the rooms at Shades of Green. I was expecting the rooms to be similar to military billeting – clean and serviceable, but nothing fancy. The room we had at Shades of Green was actually quite large, with high-quality furnishings. There were two double beds and a couch that flipped into a bed. This latter feature was nice, as it allowed each of our daughters to have their own place to sleep each night (I’m sure most parents can see the value in this!). Each room has a refrigerator and coffee maker. There were an iron and ironing board in the closet, a safe, a hair dryer, and a small table with two chairs. The only thing I thought was lacking was a microwave. Unfortunately, the standard rooms don’t have microwaves. That said, there is a common use microwave in the laundry room on the 4th floor. (The Shades of Green website states the suites have microwaves available). To save time and money, we brought breakfast items to eat in the room before we hit the parks for the day. Each morning I took some microwavable breakfast sandwiches up to the 3rd-floor laundry room to heat up for breakfast. This allowed us to save quite a bit of money during our stay, and we were able to get out of the room more quickly in the mornings as opposed to sitting down at a restaurant for breakfast. Shades of Green has just about everything you need for a full vacation, even if you don’t want to do the “Disney World” thing. There are several restaurants, a bar, a coffee shop, AAFES Exchange, and Discounted Ticket Sales. You can buy your Disney Park Hopper passes or other local attraction tickets here), an Alamo Rent a Car, tennis, golfing, two pools and a splash park, a playground, and more. In short, you can go to Shades of Green any time of year and have a self-contained vacation, whether or not you decide to do Disney World. Shades of Green also features different specials throughout the month. For example, we were at Shades of Green during September, and they were hosting a special Oktoberfest promotion, complete with a live band, a German buffet, and a beer and wine tent. There is a cost associated with these promotions, of course. But it’s nice that Shades of Green makes entertainment easy for their guests. Shades of Green offers several places to eat during your stay. They have three main restaurant options for a meal, including Evergreens Sports Bar and Grill, Mangino’s Bistro (Italian Restaurant), the Garden Gallery, a coffee shop, and more. Some of these restaurants on only open for certain meals, but there is enough coverage to get you through the day. Here is a brief overview of the dining options. See the Shades of Green website for full hours and menus. Open for breakfast and dinner, including an all-you-can eat buffet. We didn’t dine here as a family, as the all-you-can-eat buffet was too much food too early in the day for us, and we ate elsewhere most evenings. So I can’t comment on the food. Located near one of the pools, Evergreens Sportsbar & Grill offers traditional pub foods, such as burgers, salad, wraps, pizza, wings, fries, and more. There is a full bar, an arcade with video games for kids, and they are open late. Mangino’s Bistro is open for lunch and dinner, and offers a limited to go menu at Mangino’s A sit down family restaurant. The Express Café serves line order foods for breakfast and lunch (sandwiches, coffee, wraps, and similar quick foods). They are located near the shuttle buses, which makes it a convenient stop on your way to the local attractions. Only open for breakfast and lunch. Java Café serves Starbucks coffee and has a variety of pastries, juices, and quick foods. And a nice selection of ice cream for the afternoon through evening. Open all day. There is actually quite a bit to do at Shades of Green, even if you don’t go to Disney World or any of the other Orlando area theme parks or attractions. There are two pools, a splash park, a playground, a bar and grill, a spa, a yoga room, a fitness center, a Family Tech Center, two tennis courts, and more. Shades of Green is also located adjacent to the Disney Golf Course, making it very easy to walk over to the clubhouse for a round of golf. Shades of Green also has seasonal activities, such as the Oktoberfest mentioned above. You will need to check with the Shades of Green website for more specific information, as these events and costs vary. Unfortunately, Orlando isn’t a frequent hub for Space-A flights. So you will most likely need to drive to Orlando, or fly commercial. I’m going to go with the assumption you’ve already taken advantage of military travel discounts. Also make sure you get TSA PreCheck if you are eligible (active military members, including Guard and Reserves, can get free TSA PreCheck). TSA PreCheck is a huge time-saver when flying! Shades of Green Does Not Have an Airport Shuttle Bus. Shades of Green does not have an airport shuttle, so you need to make your way to Shades of Green on your own. Since Shades of Green isn’t a Disney World Resort, you won’t be eligible for the Disney Magical Express from the airport. So plan on renting a car, taking a local area shuttle, or hiring a ride share service such as Uber or Lyft. Is a Rental Car Necessary? This depends on your travel plans. As mentioned above, Shades of Green does have free shuttle buses to Disney World locations, and inexpensive shuttles to other Orlando attractions. If you rent a car, decide whether you need it for the entire trip or just a few days. We rented a car for the duration of our vacation, but on several days we used the Shades of Green shuttle or walked to the Polynesian to use the Disney Monorail. We left our car parked for probably 3 out of 7 days. We felt the convenience of having our own ride was worth the added expense or renting a car for the week. That said, you could easily get away without a rental car, or renting for a few days. Shades of Green has an Alamo Rental Car on location, which would make it very easy to rent a car to and from the airport, and use the Shades of Green shuttle service on the days in between. This is something we may do on our next trip to Shades of Green. 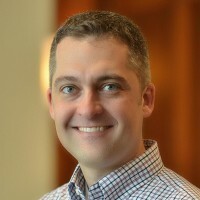 There are entire websites dedicated to planning a Disney World vacation, so I won’t try to recreate one of those here (Check out MilitaryDisneyTips.com for some great tips for planning your vacation). But I will give you a few tips so you can plan accordingly. Best Disney Vacation Advice Ever: Start. Planning. Early. Seriously. My wife and I started planning almost a year out (OK, it was mostly my wife; she loves to plan – especially vacations). We booked our hotel about 10-12 months out and made a rough itinerary months in advance. Traveling in a down time of the year is always a good idea if you are able to do so. Crowds are smaller and it’s easier to get on the rides you want. We traveled in September, which is right after most children have returned to school for the fall. We actually took our children out of school for a week to do this family vacation. We normally wouldn’t do that, but I was away from my family from April through the end of August on military training. So I basically missed the summer with my family. Our children are young enough that missing a week of school won’t hurt them academically as much as it might if they were older. Fast Passes are essential. Fast Passes allow you to schedule when you want to ride certain rides. You can only book a few Fast Passes per day, but it’s definitely worth it. You can save hours of waiting in line if you book your Fast Passes strategically. It’s also good to get to the parks early and race to the ride you want to get on first. Here is a guide to help understand FastPasses. Book your rides 30 days out if staying at Shades of Green – they fill up quickly! The Disney Phone App is Awesome. My wife created a Disney account to help plan and manage our stay. The Disney app allows you to manage your Fast Passes, dinner reservations, and gives you an interactive map of the parks, showing approximate wait times for each attraction. We found the wait times to be very accurate. This app helps you adapt on the go and maximize your trip. More info here. Whether you’re planning a trip to Disney World where you tackle the parks or you’re just looking for a resort stay with great amenities, attractions, and restaurants, Shades of Green could be the home of your next vacation. Disney World is expensive, but Shades of Green cuts costs tremendously for veterans and active duty military personnel and their guests. Military discounts aren’t limited to AFRC resorts. There are many businesses that offer military discounts as a way of thanking you for your service. Check out all of the offers available to you, and enjoy your next Disney vacation at Shades of Green. Note: Shades of Green did not compensate me in any way for this review. In fact, they didn’t even know I was there. But I would be happy to stay at any other AFRC resort to write an honest review. Wouldn’t that be nice? Please provide provide a phone number and a link to “Reservations” at the Shades of Green and the other AFRC Resorts. I was unable to find that information on the “Shades of Green Military Resort at Walt Disney World, Orlando FL” web page. In your review, you advise Shades of Green (SOD) guests to book their FastPasses (FP+) 30 days in advance. When staying at SOD, you can book those 60 days in advance, which is highly recommended or you stand a good chance of missing out on several main attractions. Another great tip is to book Pre-Park-Opening (PPO) breakfasts to be able to get into the parks beginning around 0745. Strategically planning these close to certain attractions will allow you to get in line BEFORE the “rope-drop” crowd makes it there. Example: Breakfast at Akershus in Epcot is a 1 minute walk from Frozen Ever After. You may not need a FP+ for that, and can use them for other attractions. There are caveats… if Epcot has Early Magic Hours (EMH) that day, it would be useless to have a PPO breakfast on the same day.